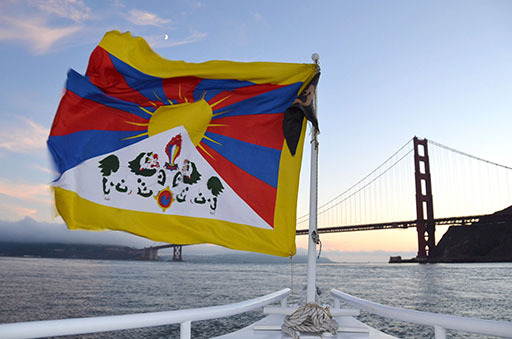 On October 2nd the Bay Area Friends of Tibet (BAFoT) invites you to join us for a spectacular and enchanting Sunset Dinner Cruise on San Francisco Bay to support our efforts on behalf of Tibet and its people. This special celebration dinner cruise will feature delicious and exotic Tibetan and Indian foods aboard the classic luxury yacht, the Empress. At this event you will have the opportunity to not only support the work of BAFoT, but to learn about the issues facing Tibet today, and to celebrate the unique religious and cultural contributions of Tibet. Proceeds from this event will also support BAFoT’s efforts on behalf of human rights in Tibet, and provide funding for special initiatives that have a direct impact on the quality of life of Tibetan communities in the U.S., India, Nepal, Bhutan and Tibet. This celebration is set to coincide with the 136th birthday of Mahatma Gandhi, whose model of nonviolent civil disobedience serves as an inspiration for the nonviolent resistance that is part of BAFoT’s mission. There will be a silent auction and raffle during the cruise. As a 501(c)(3) nonprofit organization, over-bids on auction items may be tax-deductible. Reserve your tickets today, seating is limited. 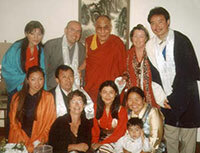 By joining us on this cruise you will be helping Tibetans throughout the world. For additional information contact BAFoT at 415-264-3264. Since the Chinese occupation of Tibet in 1950, tens of thousands of Tibetans have gone into exile; refugees fleeing persecution, resettling in India, Nepal and other countries. Though displaced from their homeland, they hope for a return of autonomy for Tibet, and work to preserve the valuable religious and cultural heritage of their country. 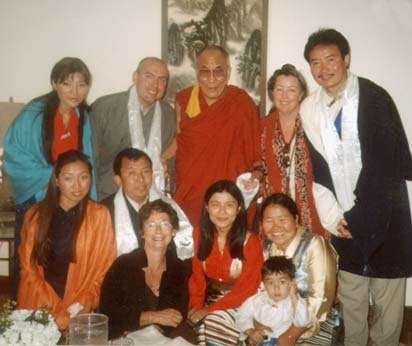 The Bay Area Friends of Tibet became involved in the resettlement of Tibetan refugees when the 1990 Immigration Act opened the door to 1,000 Tibetans and their families to resettle in the United States. San Francisco was among 10 designated resettlement sites across America. Since that time, the Bay Area Tibetan community has grown to be the third largest in the country, and BAFoT continues to work with them toward freedom for Tibet, raising public awareness of the plight of Tibet, and helping preserve the Tibetan heritage for this and future generations. Our work is made possible through the generosity of volunteers and donors throughout the community.